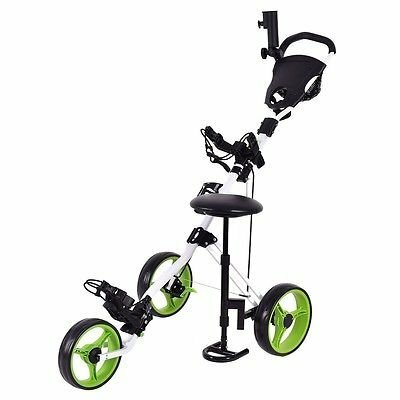 This is our new foldable 3 wheel golf trolley with a seat, which is perfect for golf exercising and resting. It allows you to transport golf to clubs or golf courses. Foldable design with 3 removable wheels enhances effortless mobility and storage.